I had this for lunch at a dog friendly patio, Blackfinn, after a fun day at the dog park with my friend and her dog. I really love the mozzarella, tomato, and basil salad with balsamic vinaigrette and this certainly did not disappoint. So simple I could make this at home. 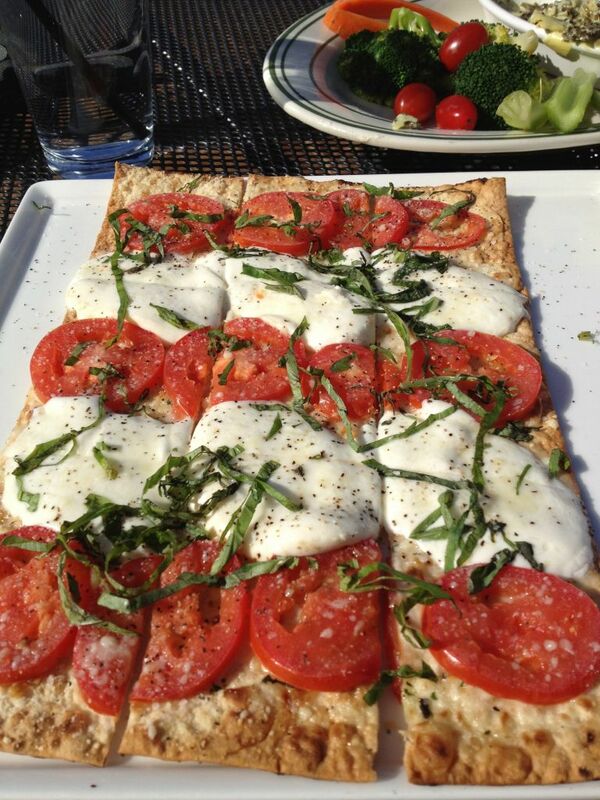 You will need flat bread, thinly sliced mozzarella, thinly sliced tomato, chopped basil, salt and pepper, and olive oil. 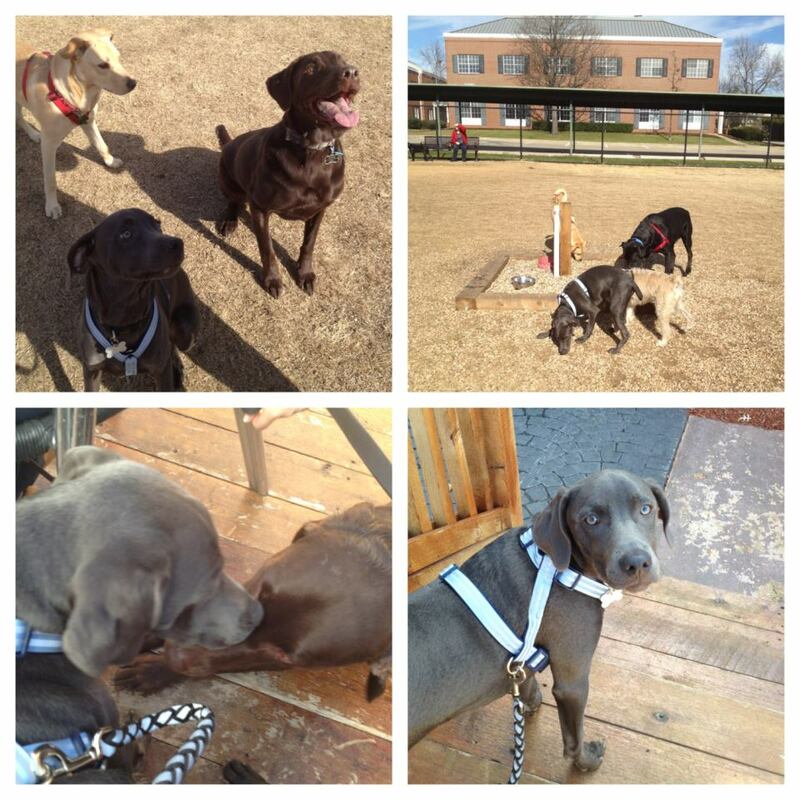 Dexter making friends at the dog park and patio with Tucker. I found this post through Pinterest– but then caught sight of your dog — Blue Lacy? I have a female that looks similar. Very cute! Thank you! No he is a Blue Weimaraner. I googled a Blue Lacy and they do look very similar, your dog must be adorable!